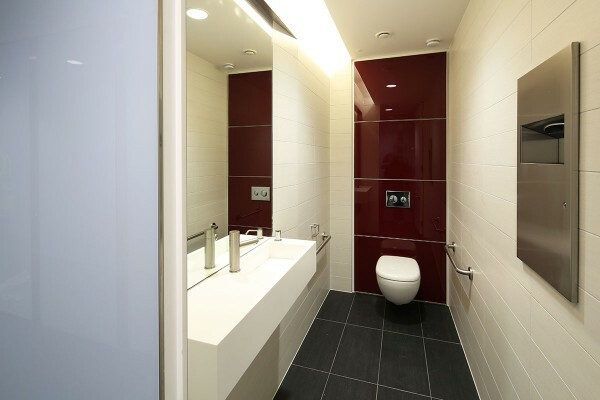 Colourful unisex washrooms featuring full height glass cubicle doors and duct panelling. The multi-million pound project designed by Aukett Swanke architects, 125 Wood Street, which also recently earned a BREEAM rating of ‘Excellent’, now provides 65,000 sq ft of Grade A office accommodation over nine floors. The existing 1980s brick-clad building on the site has been replaced, creating a sleek new look inside and out, using the highest quality of finishes throughout the project. 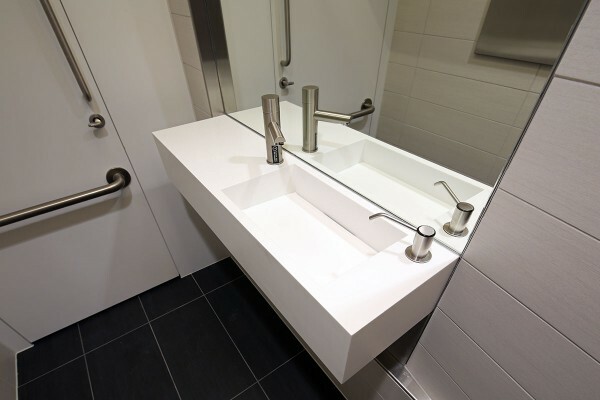 Working in conjunction with SJ Eastern Carpentry and Joinery Ltd, Washroom installed striking new washrooms on each floor of the building as part of the £200,000 project. A key aspect of the project was the fact that each WC cubicle was designed to be self-contained, including its own bespoke Corian vanity unit and hand-drying facilities. This unisex washroom solution is an ideal way to maximise the available space. Washroom’s full height, floor to ceiling, Alto Kristalla WC cubicle doors not only ensure complete privacy for end users, but also create an attractive seamless facade. The soft-close glass doors, which were manufactured in a light blue, also include a full flush stainless steel push plate. 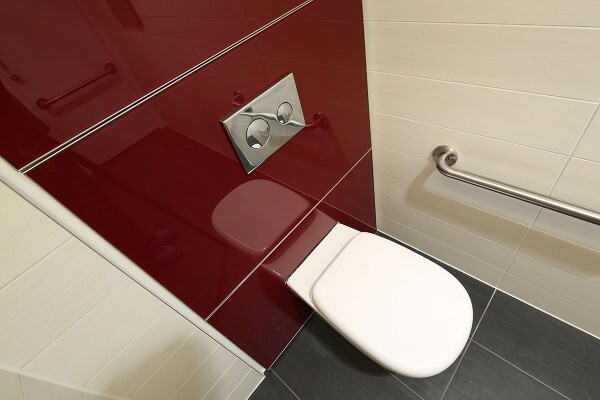 Washroom’s full height Concerto integrated WC duct panel system, which is available in a wide range of materials and finishes, was manufactured in glass back-painted in a deep maroon to create a smooth glossy finish, which adds to the high specification feel. The popular system has the added benefit of being easy to clean and allowing easy access for future maintenance, whether planned or reactive.